Now let me introduce you to each lovely shade. All swatches are 3 coats, EXCEPT BLUEBERRY, which is only two coats. I used this to demonstrate how the jellies build on the nail with each coat. I am also wearing base and topcoat in these swatches. Strawberry is an neon candy colored pink jelly polish that glows. 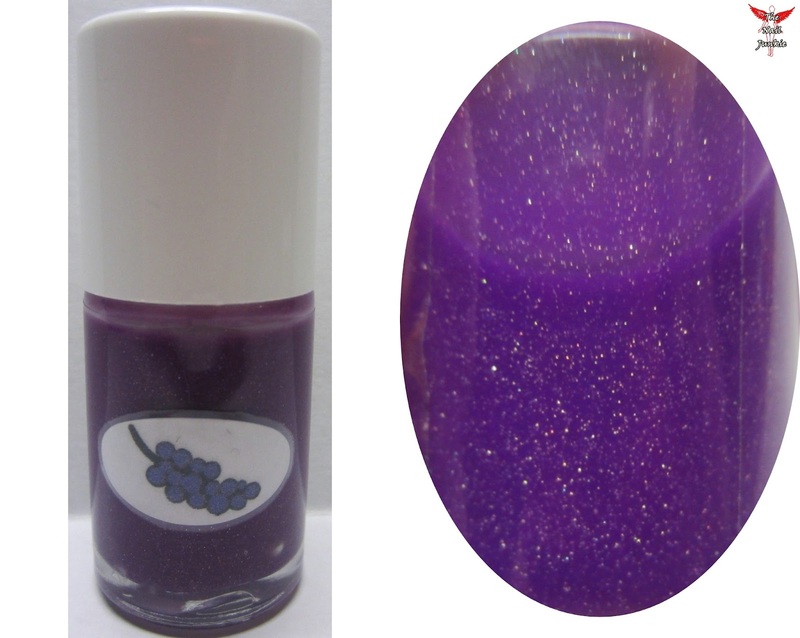 It's loaded with holographic shimmer and can be worn as a build-able squishy jelly or you can layer it over glitters for a colorful "jelly sandwich". THIS SHADE IS BRAND NEW TO THIS COLLECTION!!! Blueberry is a bright and vibrant electric blue jelly polish. It's loaded with holographic shimmer and can be worn as a build-able squishy jelly or you can layer it over glitters for a colorful "jelly sandwich". THIS SHADE IS BRAND NEW TO THIS COLLECTION!!! 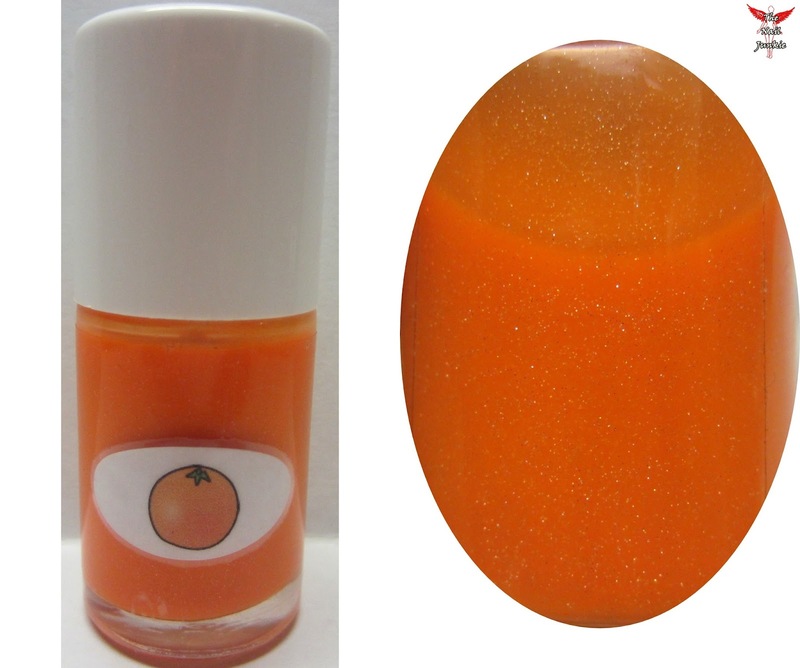 Orange is a citrus colored neon jelly polish. 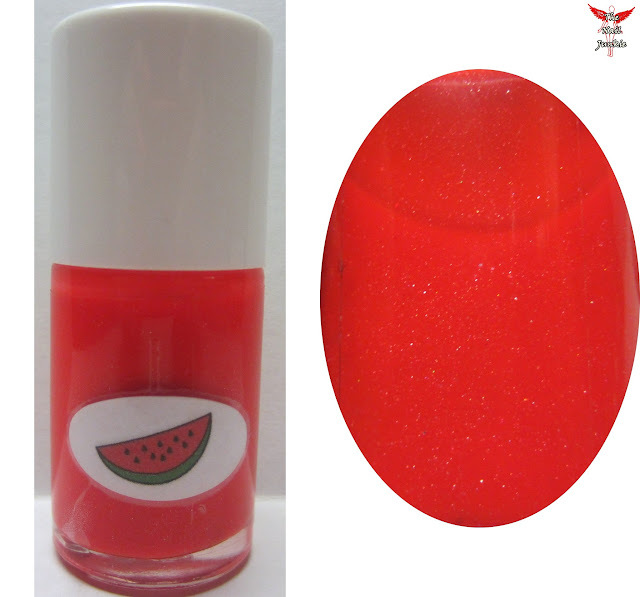 It's loaded with holographic shimmer and can be worn as a build-able squishy jelly or you can layer it over glitters for a colorful "jelly sandwich". While Orange is not a new shade in this collection, it has been newly reformulated to give it a more neon appearance than last years shade. Past shades are possibly available upon request but will no longer be listed in my store. Watermelon is a gorgeous neon red-orange jelly polish. 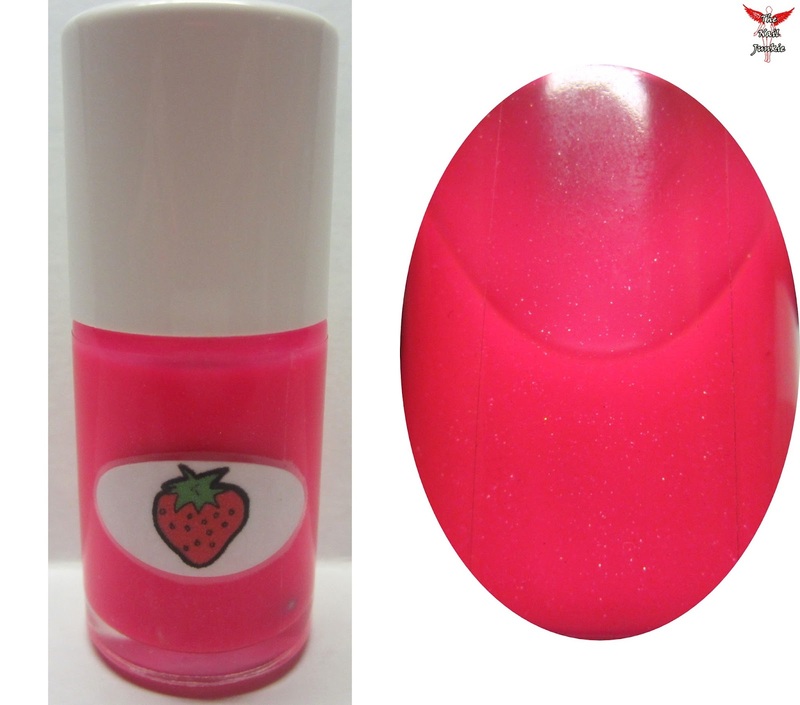 It's loaded with holographic shimmer and can be worn as a build-able squishy jelly or you can layer it over glitters for a colorful "jelly sandwich". This shade is from last years collection. No changes were made. build-able squishy jelly or you can layer it over glitters for a colorful "jelly sandwich". While Grape is not a new shade in this collection, it has been newly reformulated to give it a more neon appearance than last years shade. Past shades are possibly available upon request but will no longer be listed in my store. build-able squishy jelly or you can layer it over glitters for a colorful "jelly sandwich". This shade is from last year's collection. No changes were made. 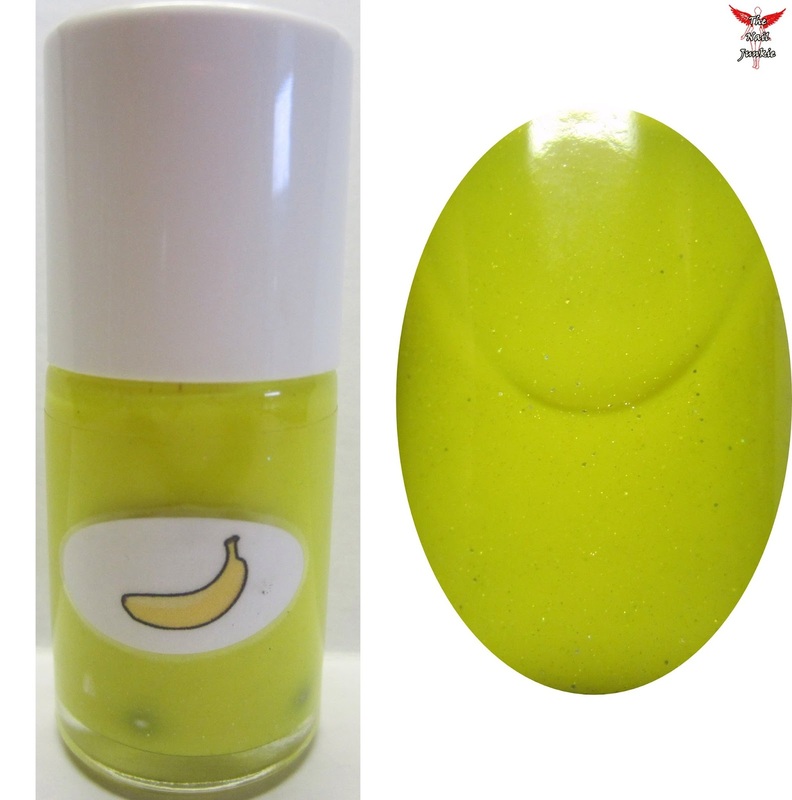 Banana is a jelly polish in the brightest neon yellow. 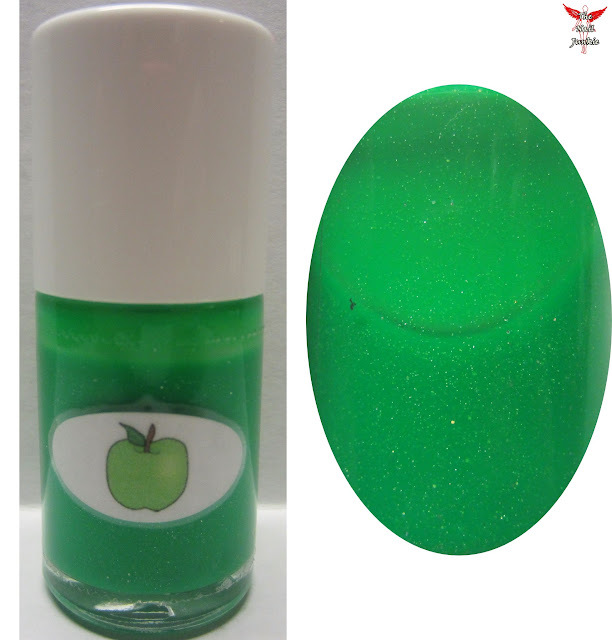 It's loaded with holographic shimmer and can be worn as a build-able squishy jelly or you can layer it over glitters for a colorful "jelly sandwich". This shade is from last year's collection. No changes were made. 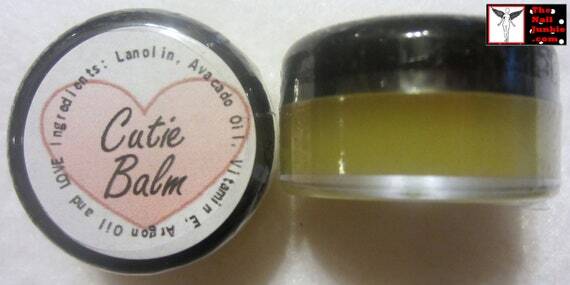 Please stay tuned to my blog and social media pages for info on stock times. To celebrate the release of this new NEON SHIMMER JELLY line I'm going to give everyone a chance to win 2 colors of your choice from the collection. This giveaway is open internationally and ends 5/31/13. I appreciate every follower I have. I read every comment. I am so thankful for all the wonderful support I have been given. It is a blessing. Ok I seriously don't know what you were talking about. The shimmer is very very VERY visible in your pictures!! All these swatches are just too yummy!!! I love the polishes, the yellow is my favorite!!! Great colors for summertime!! OMGosh my girl you out do yourself every collection! I loved the animal collection, which was my Fav until now. I've waited until now to win a couple bottles of this. I wish I could afford to buy them all. I love love the strawberry but you know how I'm in love with pinks. Ok I'm keeping my fingers crossed til the 31st! Thank you for the chance!! LOVE THEM ALL!!! !